There is a scarcity of data on thyroid disorders in Ghana. 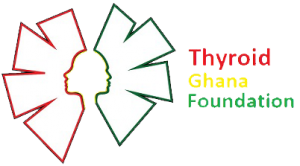 A study was conducted to examine the spectrum and incidence of thyroid disorders in Ghana by reviewing all thyroid cases reported at the Korle-Bu Teaching Hospital (KBTH) between 2004 and 2010. Data was collected on the clinical and histological characteristics of all thyroid disorders reported during the Study period. In total 1300 cases were reported, representing an annual incidence of 185.7 cases. The ages ranged from 1-86 years. Most of the cases were be-tween 30-39 years group and Majority, 1141(87.8%) were females. A wide spectrum of thyroid disorders exists in Ghana. Recent studies have established that iodization of salt resulted in a reduction in the incidence of some types of the disease while others were on the increase. Robust diagnostic facilities for thyroid disorders are generally lacking in most countries in Africa. In Ghana the commonly employed diagnostic techniques include; Blood Test (thyroid function test), Physical examination, and thyroid scan. The treatment modalities that are commonly employed in the management of thyroid diseases are pharmacotherapy and surgery. Surgery is the much cheaper alternative treatment and commonly used for treating thyroid disorders in Ghana. In radioactive iodine therapy, patients are treated with radiation-tagged iodine molecules, which selectively target and kill overactive cells in the thyroid.